Gastric banding can make a difference in many people’s lives. In fact, a number of people from San Diego, CA come to our Tijuana practice for gastric band procedures, such as LAP-BAND® or REALIZE®. Other patients may be seeking a revision of their previous weight loss surgery. 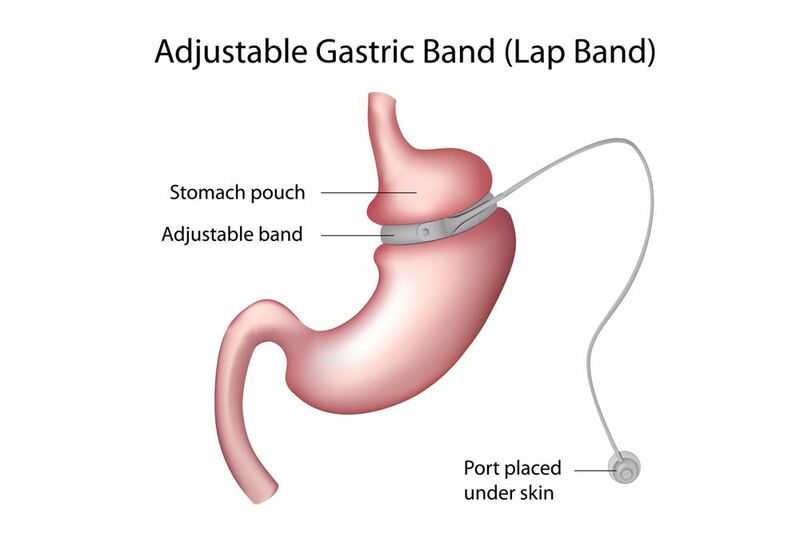 The team at LIMARP® would like to go over the basics of gastric band revision and what this process entails. Not everyone will require it, but those who do will be happy that the corrective surgery was available. A bariatric revision surgery refers to a corrective procedure when the initial surgery does not yield optimal results. In essence, the revision surgery helps improve the rate of weight loss or the overall health and wellness of the patient. The Band Has Slipped Out of Place - If the gastric band has slipped, a revision for adjustment can be made to make sure patients experience full benefits of surgery. Patient Is Not Losing Enough Weight - If a patient has lost little to no weight after having a gastric band placed, the revision surgery will help promote better and healthier weight loss. Rate of Weight Loss Is Slow - Sometimes a patient loses weight from the gastric band procedure, but they lose weight very slowly. Revision surgery can increase the rate of weight loss so overall results of treatment are more ideal. Gastric Band Is Causing Health Issues - The presence of a gastric band could cause a number of health problems for patients, from nutritional deficiencies to irritation of the stomach. Revision surgery can help address these health complications. Since gastric banding is the least invasive bariatric surgery option available, the revision surgery is relatively easy compared to other weight loss procedures. Adjustments to the band can help reduce the size of the stomach, for instance. The band can be removed and a new surgical approach may be considered. Or, if the gastric band needs to be removed, the procedure can be reversed/undone with general ease. This ability to revise and reverse the gastric band procedure is what makes it an appealing option to many patients. Whenever possible, a bariatric surgeon will work through the same incisions used for the initial banding procedure. This helps minimize post-operative scarring. Patients will be under general anesthesia. The duration of the revision can vary based on the nature of the revision, though adjustments and band removal will take much less time than a conversion to another surgery. If a patient is having their gastric band procedure turned into another weight loss surgery, their surgeon will go over the various options that are available. Sometimes a sleeve gastrectomy is recommended, which permanent shrinks the size of the patient’s stomach. For mote drastic weight loss results, a gastric bypass may be performed. During the consultation process, we can go over all of your options for better weight loss and more ideal surgical procedures. We’ll address all concerns in full detail so you can make a confident decision about your options for treatment. For more information about gastric band revision and how it can benefit you, be sure to contact the bariatric surgery team at LIMARP®. We will work with you to help ensure you lose weight and lead a healthier lifestyle for the long run.